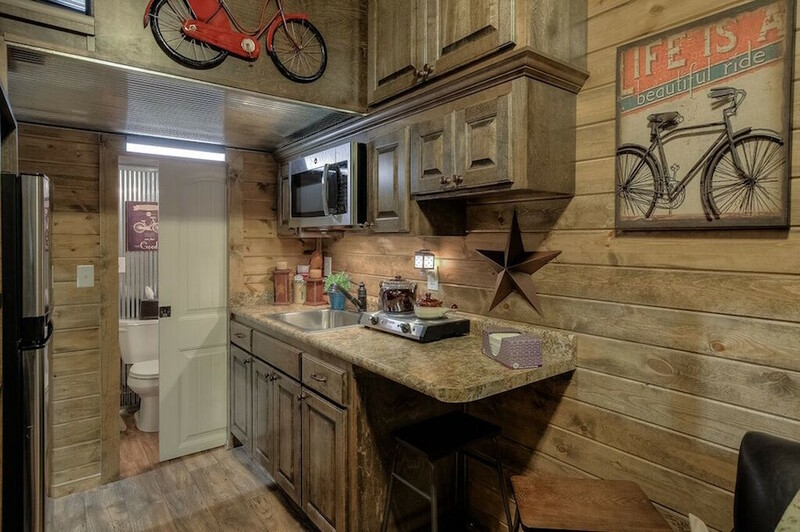 A 215 square feet repurposed shipping container home in Archie, Missouri. Designed by Custom Container Living. More info. here. Well, as long as you’re near an outlet, you’ll be fine. Nice THOW. Is it way cheaper to do it this way ? 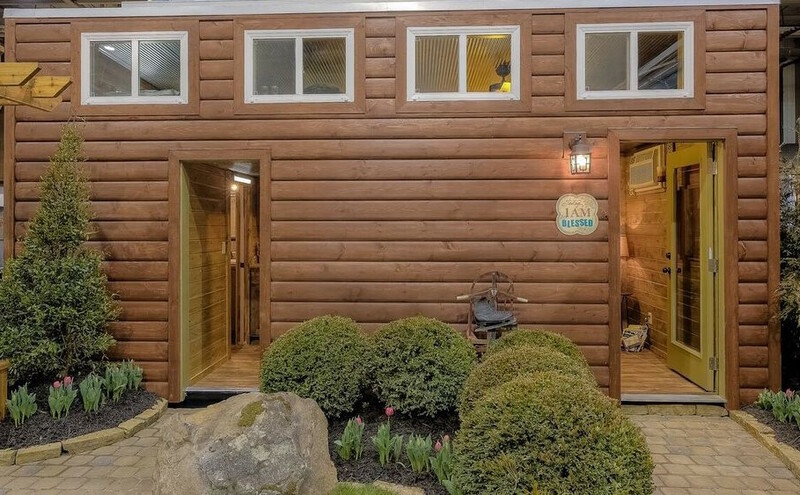 I like the idea of shipping container homes and this one is done well but, I think the lack of functioning windows and the loss of space with having two doors is a bit much. Also, the thing most people don’t take into account with these is the cost of moving them. Once the containers are loaded up they can’t just be hauled on a rollback one ton anymore. They have to be hauled on a specialty truck and lifted off with a crane! Its not a minor expense at that point! The best way to build one of these is to have the empty comtainer delivered, build the home on site, and only move it if absolutely necessary! Thank you for the feedback. Wanted to provide a bit of additional information, as these are all very valid concerns. This unit actually has 5 functioning windows. 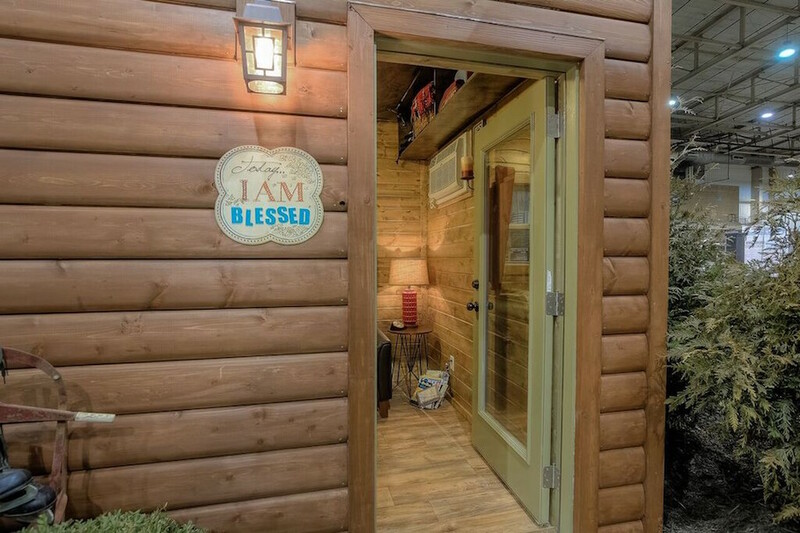 The challenge in a Tiny Home is the trade-off between functional space and doors/windows. We compensate for this by placing as many windows as possible across the top of the unit and a large window in the back wall for cross-ventilation. The heat/air unit acts as a natural dehumidifier as well during the summer when moisture is an issue. There is also an exhaust fan in the bathroom. The second door you see is actually a 30″ floor to ceiling pantry/wardrobe. We built this for a series of home shows and had to leave this open for traffic flow. When we sell it, the pantry will go back into that section and a barn door will be placed on the outside. From a transportation perspective, these units can be hauled on your standard container trailer or Landoll rollback trailer. We leave the siding up high enough on the edges to load and unload just like a normal container, so no special trucks or cranes required. That is definitely one of the benefits of container housing . . . very transportable. What about condensation with lack of ventilation and that tin clad roof inches above your head? The wood looks heavy and seems to close in around you tiny houses need lots of small windows or one large window to connect the small innerspace with the larger outside space. This ine needs more connectivity with the outside feels like a cave. All houses get condensation indoors. Tinyhouses moreso, because of the lack of an attic to separate the roof from living area. The only thing that can combat this is a Heat Recovery Ventilation system. Not many houses have them but, in the winter any draft will turn to moisture when it touches the warm inside air. I love this house! But, did Hell freeze over? 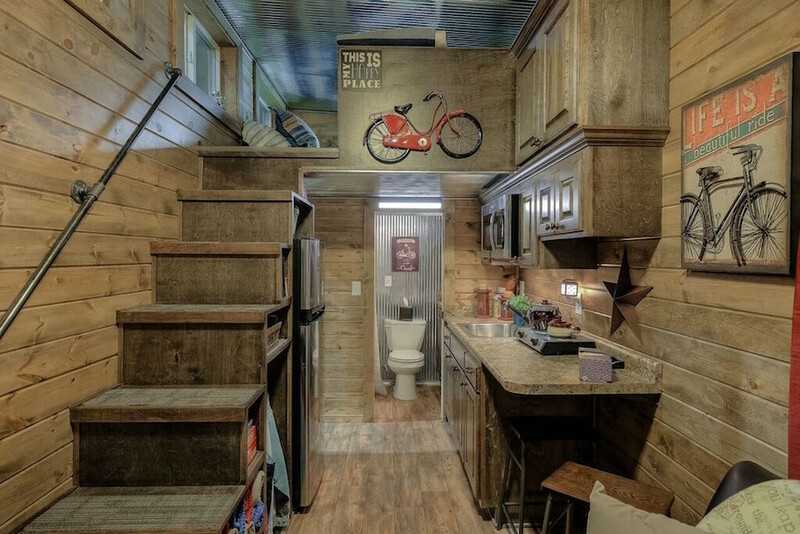 Actual upper cabinets and stairs in a tiny house? Wow! The lower part of the house needs more big windows. The windows along the top wouldn’t be enough even with the one larger one on the back wall. The wood is very pretty but without windows it seems too much like a cave. 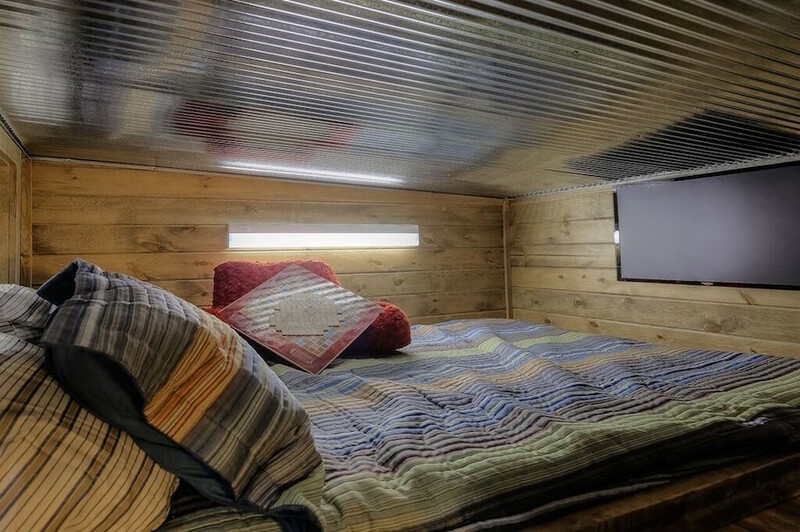 The sleeping area would give me nightmares and that tiny slit window wouldn’t help at all. Just a suggestion, but in some of the homes I design I put an opening window between the countertop and the upper cabinets. It makes an easily cleaned backsplash, ventilation, and light, without using any of your storage space. I love this house. I think the darker stain on the walls, stairs and cabinets are wonderful. 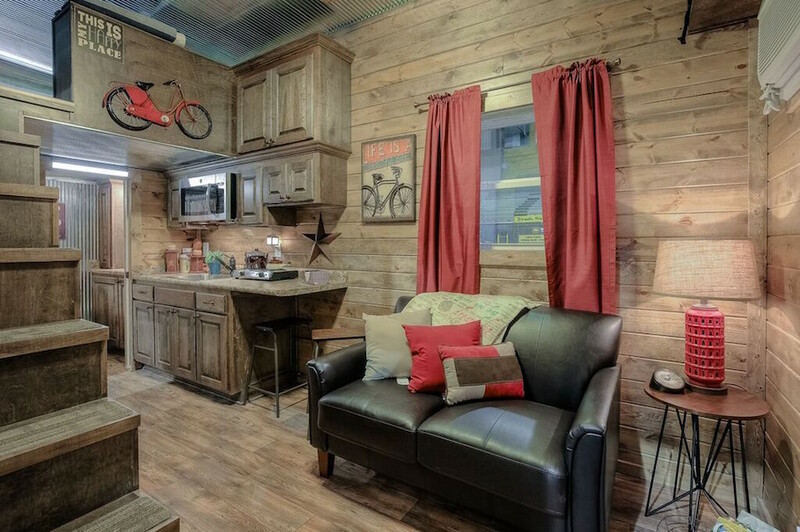 Most tiny houses’s interiors are either white or a light pine. This color adds warmth and gives it a comfortable look. I am hoping in the distant future I will be getting a tiny house, but on a trailer instead of a container. What are the pros and cons for each? Which is cheaper to build? I did read where you commented about using a crane to place it on a lot. That makes me think containers would be more expensive. Very nice house. No crane, but it does take a roll off tractor trailer versus a heavy pickup truck for trailer. One warning, get a real company to work on containers, paint and wood floors need removing, not covering for human habitation. 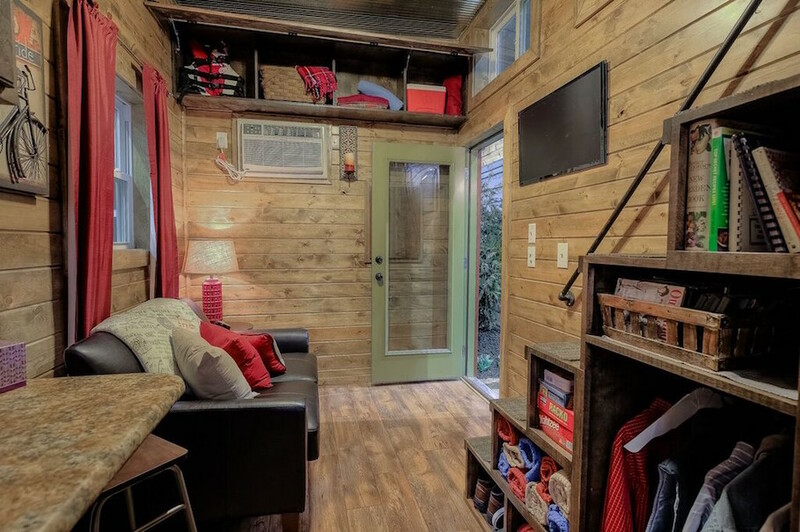 This is the BEST tiny house I have seen…great colors, textures, VIBE and practical living space! This is a winner!!!! One of my favorites!! I do have to say I was not aware that it is a container. I love the interior decor too!! Would not change a thing!! Well, I would probably paint the front doors some crazy color like bright orange!! What is the cost of this home or one similar and also the cost of moving , set up in Al. ? Janice, the cost of this home was right around $32,000. Transportation costs are $4.50 per mile for anything over 200 miles from our shop in Archie, MO. If the buyer is able to find a less expensive transport company (perhaps someone they know), then we will use them.